If you ever wondered how the tops of your young sunflowers disappeared this might answer a few questions. 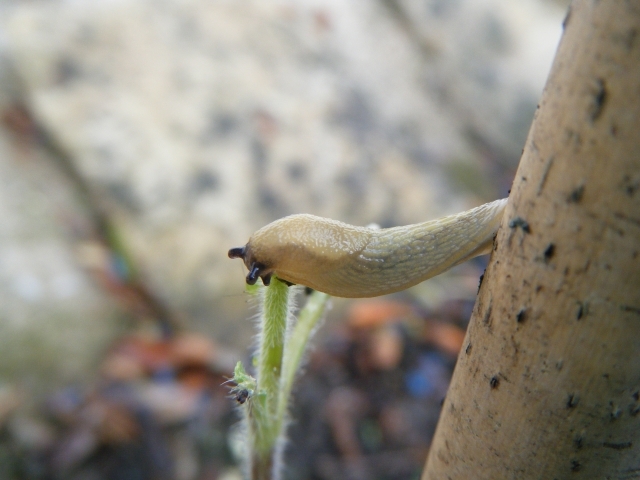 Needless to say this agile young slug’s life ended just that little bit sooner than the juvenile Moonwalker sunflower it had just demolished. This entry was posted in Photographs and tagged slugs, sunflowers by Grow Me. Bookmark the permalink.